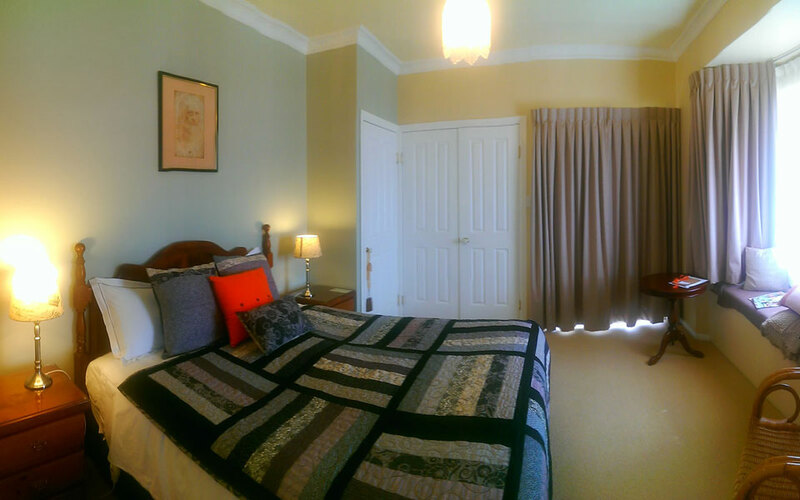 Our bed and breakfast is centrally located, close to fabulous food and wine destinations across the Granite Belt. 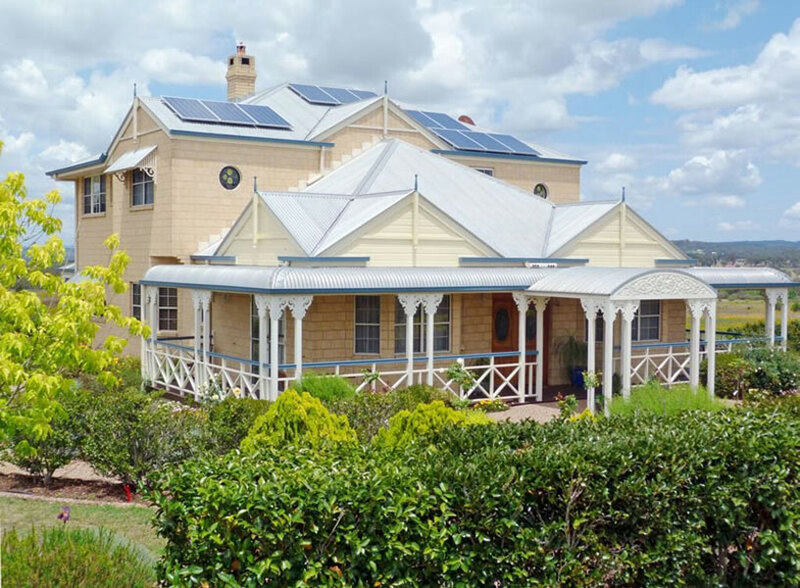 We offer warm traditional hospitality, sumptuous homemade breakfast and all the comforts of our elegant sandstone home and hope from the moment you arrive, you feel at ease. Ready to immerse yourself in all the fabulous offerings the Granite Belt has to offer. Whether you are looking for a romantic break or accommodation for ten adults, Grovely House is the perfect choice in accommodation with style. We specialise in making your stay an occasion to remember, whether it is a 10th wedding anniversary, proposal of marriage or just the need to get away for the weekend with your friends. 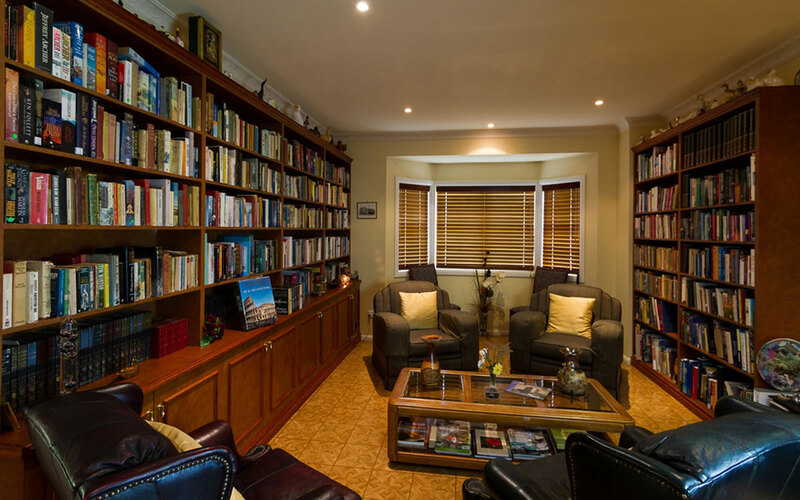 With five beautifully appointed ensuite guest rooms, an extensive library and inviting guest lounge with double sided fireplace for those chilly Stanthorpe nights. Grovely House offers you the best of all possible worlds in a magical garden setting. The truly beautiful gardens are yours to enjoy. 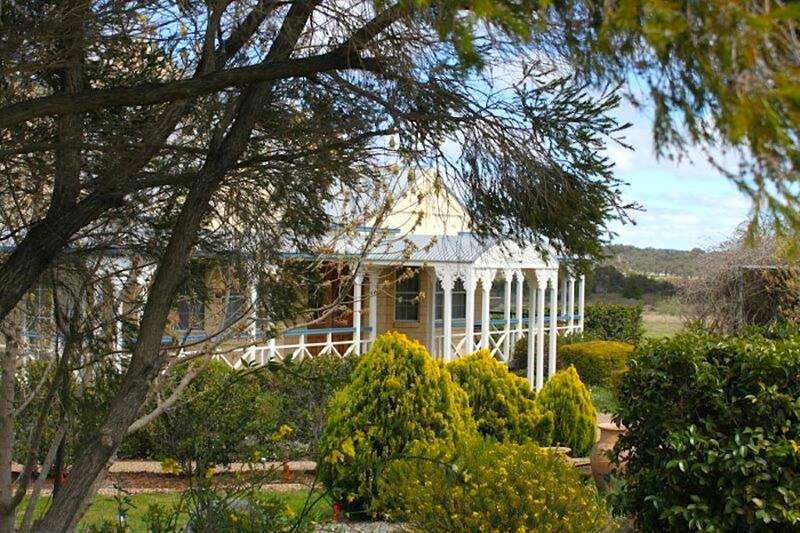 Grovely House B&B is in the middle of the Granite Belt, close to many wineries, restaurants and only 5 minutes drive to Stanthorpe. We hope to enhance the experience of your stay, with beautiful linen, soft furnishings and comfortable beds. Stephen and Faith along with their two dogs Sparky and Diamond look forward to welcoming you to Grovely House and the Granite Belt. A variety of teas and coffee are available throughout the day. Our sumptuous breakfast is one of the many reasons guests return year after year. With an emphasis on garden to table, sourcing locally grown produce or picking from our own vegetable garden, our breakfasts will delight. We pride ourselves on creating quality food with love and a respect for food. 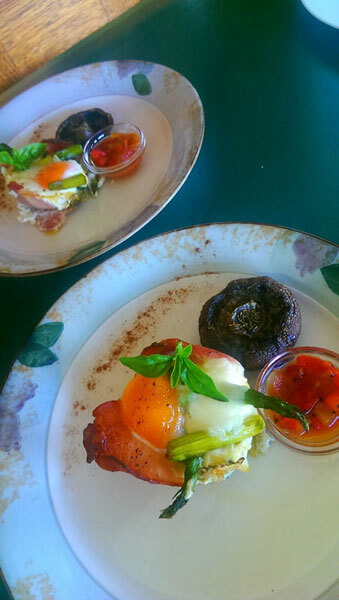 Breakfast will prepare you for the day of adventures on our beautiful Granite Belt. Whether it is on a wine tour, hiking Girraween National Park or just sampling our regions delights. Guests often rave about our breakfasts. As you enter the dining room, you will be greeted by our friendly staff who will ensure your breakfast dining experience is something you will remember! Our breakfast is served to you at the dining table, with spectacular views to the south of the Severn Ranges. Choose from one of our five luxurious StYLED & spacious suites, each with slightly unique look and feel. There are three suites upstairs and two suites down stairs. Stroll through the meandering paths laden with cold climate flora, happen across a cosy nook for some quiet time together. Enjoy your welcome coffee and homemade delights sitting under the wisteria in the spring. Every season at Grovely House brings its own individual beauty. The changing colours of autumn, the wild flowers in summer and the possibility of snow in the winter. 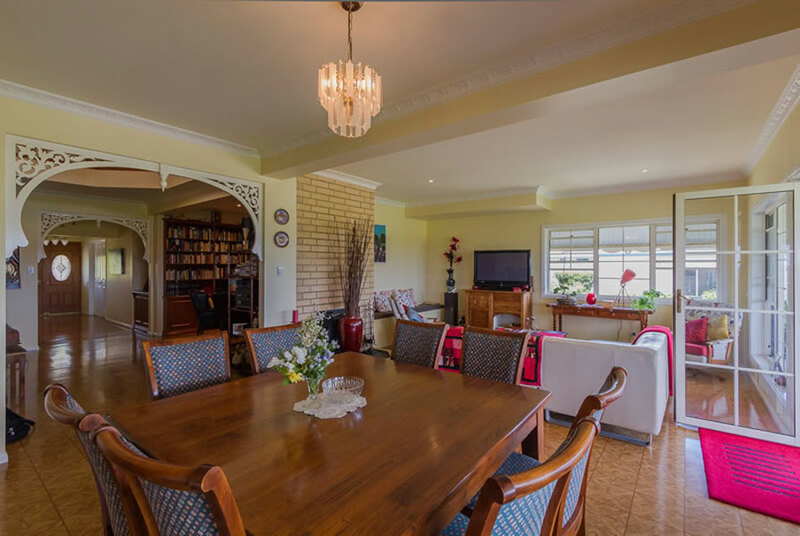 The charming verandas give Grovely House a tranquil feel you will not want to leave.